Israel may be no larger than New Jersey, but the staggering amount of places to see and experience can be quite overwhelming for first-time and even repeat visitors. Israel has the most museums per capita in the world and some of the most significant archaeological and heritage sites anywhere. Add to that Mediterranean beaches, world-class cuisine, colorful outdoor markets, child-friendly attractions, extreme sports and globally renowned nightlife, and the big question becomes: Where to even begin? Nowhere else on earth boasts such a concentration of holy sites and history for Jews, Christians and Muslims. The Old City, the nucleus of today’s much larger capital of Israel, was built by King David in 1004 BCE and has been the focus of kings, conquerors, religious leaders and ordinary people ever since. Walking – or riding on a Segway — along the top of the four-kilometer walls with a guide gives you the best vantage point over the Armenian, Christian, Muslim and Jewish quarters of the Old City. 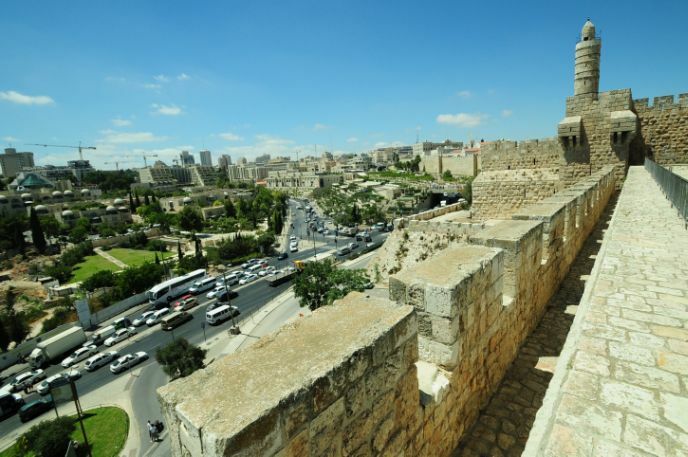 The walls are embedded with seven gates, 34 towers and the Tower of David citadel, one of several museums and archaeological sites in the Old City. 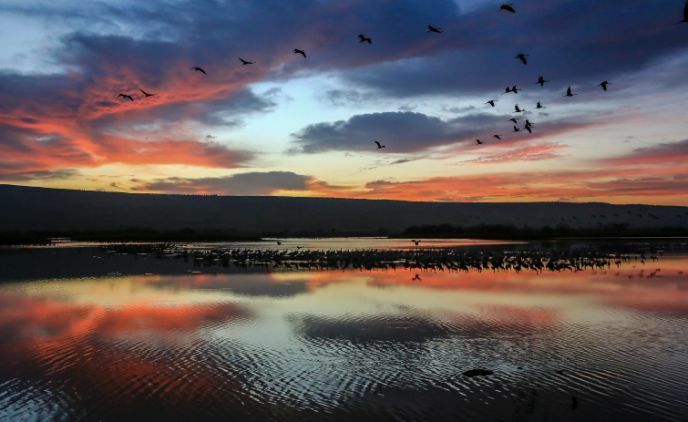 Billed as a paradise for birds and people, the Agamon-Hula Nature Reserve in the Galilee is one of the world’s best sites to observe migrating, courting and nesting birds, as well as other wildlife. Though it’s most striking at dawn or dusk, the park’s trails, fruit groves and lake are spectacular all day long. Tour them by foot or on rented mountain bikes, multi-passenger bicycles, club carts or tractor-drawn Safari Wagon (with a guide). There are shaded picnic groves and three observation points staffed by rangers. The lowest place on earth, the Dead Sea is also among the saltiest waterways on earth. An extremely high concentration of dissolved mineral salts (33.7%) gives it a density greater than body weight, so you can’t help but float like a buoy. The salts also have unique healing properties for the skin. Slather on some mineral-rich mud and enjoy your float. Even without mud, you don’t need sunscreen because of the unique atmospheric conditions at the Dead Sea. 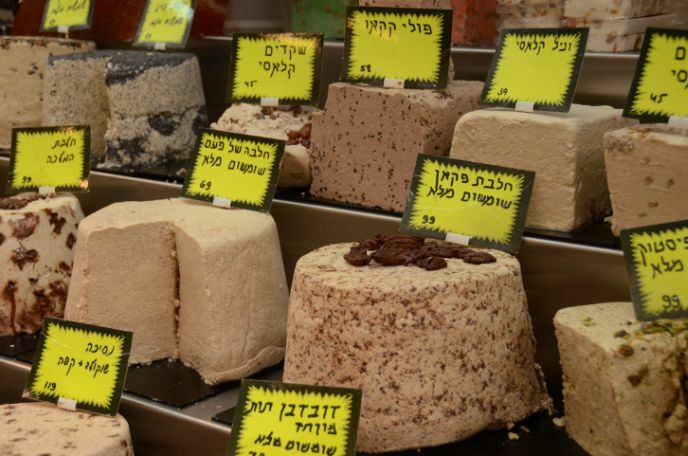 Israel’s outdoor marketplaces and street-food vendors are perfect for tempting your taste buds with something new. We recommend trying exotic seasonal produce, halva, bourekas, hummus, shakshuka, sabich, sachlav, etrog juice, shawarma, majadara and kubbeh, to name a few. 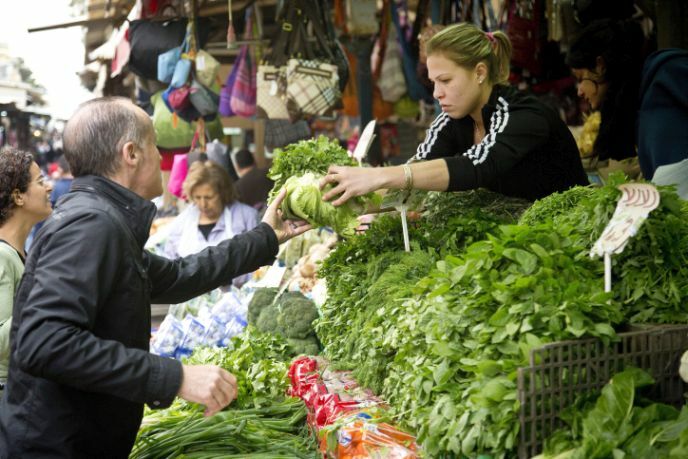 Israeli open-air markets include Machane Yehuda in Jerusalem; Carmel, Hatikva and Levinsky markets in Tel Aviv; Daliat el-Carmel in the Galilee; Wadi Nisnas in Haifa; the Acre (Akko) Market; Bedouin Market in Beersheva; and the Nazareth Market. Jaffa is especially famous for its street-food vendors. The town of Mitzpeh Ramon is one of the most popular tourist destinations in the Negev thanks to the stunning Ramon Crater (Makhtesh Ramon), the world’s largest natural erosion crater. A new high-tech visitors center gives you all the info on how the crater formed, and what kinds of wildlife call it home. For a first-hand look, arrange a guided ATV, hiking or rappelling adventure – or even sleep in the crater overnight in a tent. See some optical illusions at Carasso Science Park, Beersheva. Among the hundreds of museums in Israel are four extraordinary experiential science museums for visitors of all ages: Bloomfield Science Museum in Jerusalem, MadaTech National Museum of Science, Technology and Space in Haifa; Technoda Science Education and Technology Center in Hadera; and the newest and largest Carasso Science Park in Beersheva. You can easily spend a full day of fun and discovery at any of these centers. Also check out the 800-square-meter Clore Garden of Science at the Weizmann Institute in Rehovot. 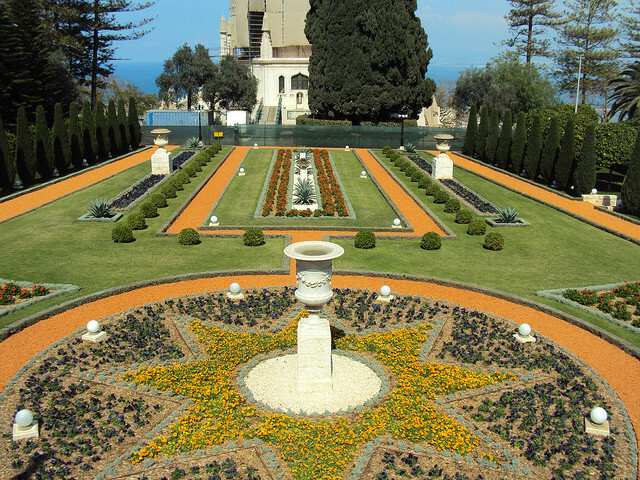 The Haifa Bahá’í Gardens feature 19 landscaped terraces. More than half a million visitors every year enjoy free guided tours amid the serene tranquility and colorful groomed geometry of the stepped Bahá’í Gardens UNESCO World Heritage site in the northern Israeli cities of Haifa and Acre. The larger Haifa garden is planted up the northern slope of Mount Carmel overlooking Haifa Bay, with 1,700 steps from bottom to top. The volunteer-tended garden features 19 landscaped terraces containing about 450 plant species. Life’s a beach in Israel, where 140 beaches dot the Mediterranean, Dead and Red seas as well as Lake Kinneret (Sea of Galilee). This year, 25 Israeli beaches fly the Blue Flag for meeting high environmental and accessibility standards. Choose any one of Israel’s beaches, and send your friends back home selfies taken against the background of unmatched-for-awesomeness beach sunsets. No matter what the season or time of day, the Tel Aviv Port always provides a fascinating feast for the eyes. Watch people dining al fresco, walking their dogs, strolling, biking and blading along the boardwalk, casting a fishing line and catching some rays. Turning your attention seaside, you can watch games of matkot (beach paddleball), the mesmerizing movement of the gentle Mediterranean waves and the boats bobbing in the water. Here in the cradle of civilization, there’s always some antique artifact lurking just beneath the surface: pottery, glass shards, bones, metals, mosaic stones, primitive tools, oil lamps, coins, seals or jewelry from thousands of years ago. If you just want to dig for a day – or a few hours — with the kids, options include Beit Guvrin-Maresha National Park and the Temple Mount Sifting Project at Tzurim Valley National Park on Mount Scopus in Jerusalem. 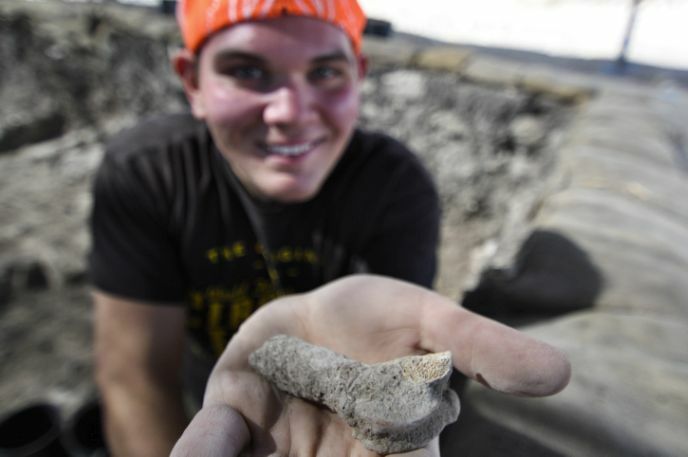 Serious archeology buffs can join long-term excavations under the auspices of the Israel Antiquities Authority and academic teams in various parts of Israel. Originally posted on Israel 21c.